In preparation for the upcoming “Star Wars” film “The Last Jedi,” The Mercury sat down with UTD film professor John Petty to talk about his feelings and expectations about the upcoming sequel to “The Force Awakens” (2015). A: I want to see where they take this one. I think Disney right now has a very fine line to walk with these movies. They’ve got to appeal to the older fans, fans like me, but they also have to reach out for the newer generation of fans, and I think that’s a really difficult thing to do. With so few of the original cast going to be in this movie, I think they made a big mistake killing off Han Solo the way they did. I don’t see that there was any point to it — it didn’t really have a big emotional impact on the film, I think it was done just to say, “Look, we can kill Han off.” Now granted, at the time they didn’t know Carrie Fisher was going to die, but as it is now, they’re losing their ability to connect with the older, more traditional fans. I think they’re doing a really good job of developing a “Star Wars” for the fans who sort of came in with “The Force Awakens”. I think characters like Poe Dameron, for example, are great, and I think people are really going to respond to that. But I’m anxious to see what they’re going to do to reconcile those two sides. You know, how is Luke’s story going to continue? At this point he’s sort of the framework for all of it — what happens with him, why is it the last Jedi, and who is the last Jedi. Those are all things that I’m really looking forward to seeing how they deal with. Q: What are some of the questions you think this film will answer? A: : I hope that we get an answer to what — to who — Rey is. You know, there’s something with her, there’s some connection to Luke, or maybe there’s not, maybe it’s a connection to Obi-Wan, maybe it’s a connection to Darth. But what is Rey’s place in the whole thing? We sort of knew, by the time the first “Star Wars” movie (“A New Hope”) ended, we sort of knew what Luke’s place in this thing was — we knew that he was going to rebuild the Jedi faith and we knew that he was going to be that guy who can sort of resurrect the past. 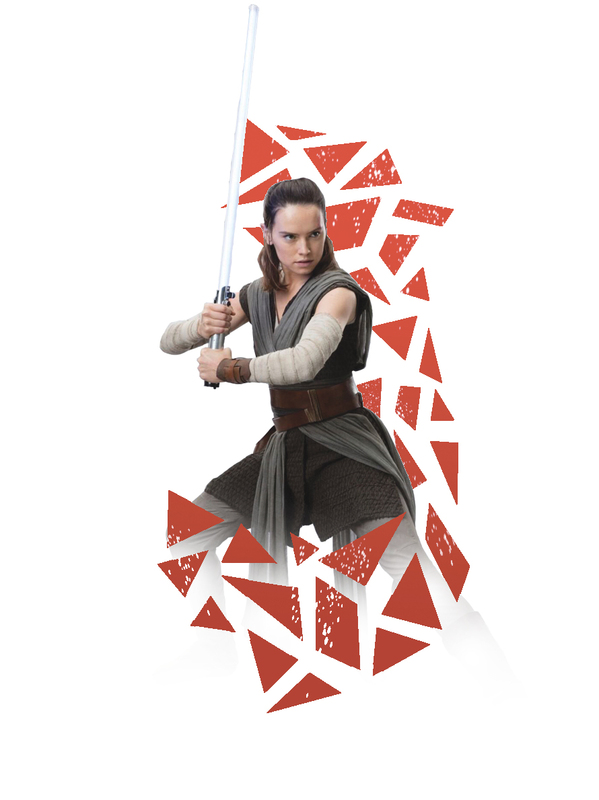 But we don’t know what Rey is, and I’m anxious to see what they have in store for her. Q: Could you talk a little bit about the impact of the original trilogy? A: That’s a huge question — it’s a good question. Before “Star Wars,” science fiction in movies had really reached a very low point. You know, the 50’s — we all know what 50’s science fiction was like, it was guys in bad suits and model rockets on strings and things like that. And that was fine. And then we get to “2001: A Space Odyssey” (1968), which was spectacular. And everybody thinks, “Oh my God, this is going to be a renaissance for science fiction!” Well, it wasn’t. Because nobody else could do what Kubrick had done in that movie. You know, he took a huge risk — it paid off for him, but there’s no way to duplicate that. So, going into the 70’s, it was just a wasteland for science fiction fans. And then “Star Wars” comes along, and with “Star Wars” comes this whole new concept of what science fiction is. It’s not just crappy little models, it’s something where whole worlds are being created. And it’s based on the narrative of the Western. You’ve got this kid whose parents are murdered and he goes to get revenge, I mean you can take this and strip out the aliens and put in cattle rustlers and use the same script practically, because it follows that really, really familiar story pattern that we’re all used to. In my class we talk about (Joseph Cambell’s) “The Hero’s Journey.” And Cambell talks about this hero’s journey, this mythic structure we all know by heart, whether we realize it or not. And (George) Lucas knew this, and he worked with it, and he brought out this story that was simple enough for anybody to understand but still had some of those hidden complexities about fate and life and destiny, and all of these things that were really cool. So I think in ‘77 when this came out, it ramped up science fiction. It gave everybody else something to shoot for. Most of them didn’t make it, some of them did, but it really raised science fiction up to a whole new level. But it also became sort of this new cultural mythology. Very quickly everybody knew “Star Wars”, and everybody knew what it meant if you called somebody “Darth Somebody,” everybody knew that you were calling them someone evil and vicious. Even in the early 80’s when Reagan proposed his strategic defense initiative, it got the nickname “Star Wars.” That was just a few years after the movie came out! So it gave us this new sort of cultural touchstone that we all knew the mythology and characters of. And really that’s continued to this day.